The record renewal button makes it easier ​to record renewals for members paying by check and cash. 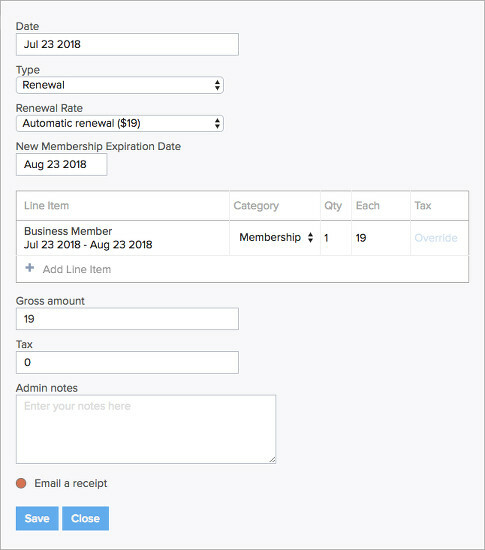 Click on the Record Renewal button on the member’s timeline and select the appropriate renewal rate, then verify the new membership expiration date and payment amount (which can be adjusted as necessary). You can also trigger an email receipt by enabling the “Email a receipt” option.